Call or text today for muffler and radiator service! 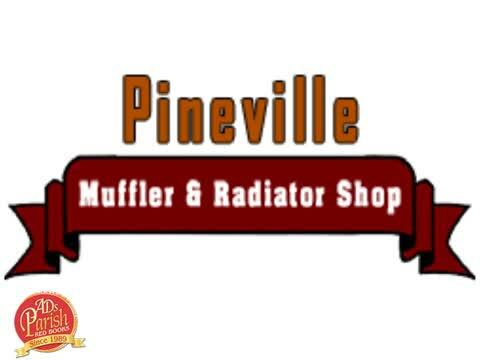 Take your vehicle to the next level of sound and performance with the help of Pineville Muffler & Radiator Shop! 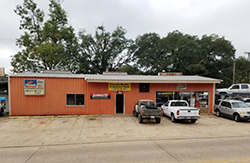 Proudly serving the drivers of Pineville, LA and the surrounding areas, we offer unparalleled muffler, exhaust, and radiator service. Whether you suspect you have a problem with your vehicle or you want to customize it, we can help! 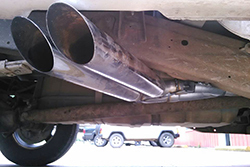 We have been fixing radiators, mufflers, exhaust systems, and more since 1980. In that time, we’ve seen it all and done it all. So what are you waiting for? Call or text us today to learn more! 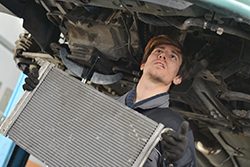 When your vehicle needs radiator service, you can count on the experts at Pineville Muffler & Radiator Shop. We have years of experience and have seen and done just about everything with radiators. We understand just how important this component is to the function of your vehicle, and we’ll do everything we can to help you get back on the road safely. Looking for a performance upgrade? You’ve come to the right place. We can help you find the right custom radiator to give your vehicle the “oomph” you’ve been looking for. Best of all, we can handle the installation from start to finish. Let us help bring your vehicle to the next level. Whether you need radiator service or muffler service, our experienced mechanics are here to help you. Give us a call 318-201-8784 or send us a text message today to get started!